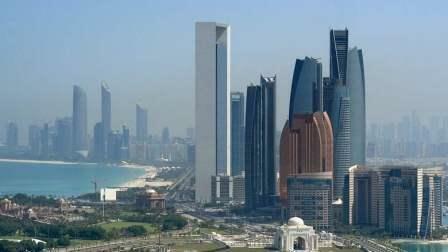 Abu Dhabi has been nominated as the best destination for personal security for travelers, announced the Abu Dhabi Police on Sunday. Abu Dhabi picked the best 'personal security' category in the Destination Satisfaction Index (DSI) during the ITB Berlin, which took place from March 7-11. ITB is one of the most prestigious travel trade fairs in the world, attracting thousands of exhibitors and hundreds of thousands of visitors. Major-General Mohammad Khalfan Al Rumaithi, commander-in-chief of the Abu Dhabi Police, said winning the award is an important addition to the achievements of the Capital. "This is thanks to the patronage of His Highness Sheikh Mohammed bin Zayed Al Nahyan, Crown Prince of Abu Dhabi and Deputy Supreme Commander of the UAE Armed Forces, and the embodiment of his interest in ensuring that the Abu Dhabi Police are at the forefront of global policing. He added that the Abu Dhabi Police will continue to ensure the security and safety of all residents, as well as tourists, comes first. Maj-Gen Al Rumaithi stressed that every achievement is a result of collective efforts made by various police departments, who are dedicated to serving the community. Also at the ITB Berlin, the Department of Culture and Tourism - Abu Dhabi (DCT Abu Dhabi) picked up the award for the 'Best Stand in Middle East Region', for its pavilion featuring the best of the emirate's attractions and hotels. Sultan Al Mutawa Al Dhaheri, executive director, tourism sector at the DCT Abu Dhabi, said: "We are proud to pick up this award which is a testament to the hard work of everyone involved in showcasing the emirate here in Germany. "Our pavilion was exciting and entertaining for our visitors, and gave people an immersive experience of visiting the emirate utilising virtual reality, the latest technology, and live demonstrations."